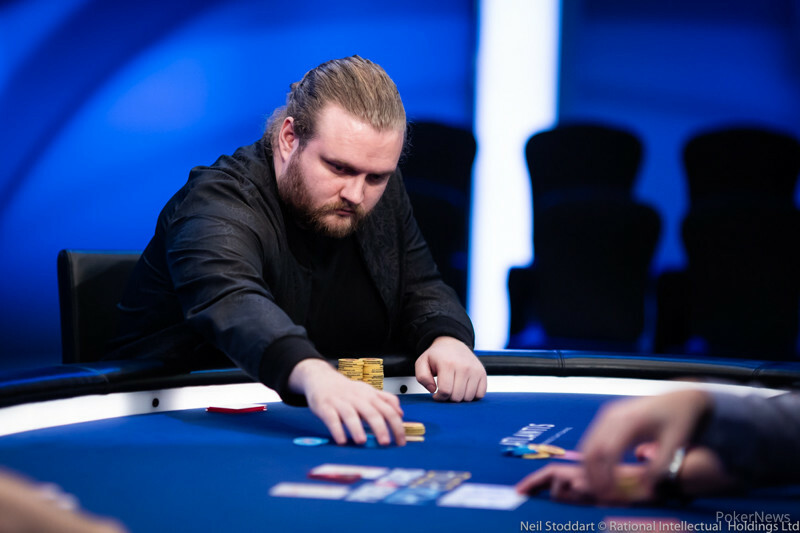 Sam Greenwood is widely considered one of the best in the world when it comes to no-limit hold'em tournaments, so when the cards fall his way, it can seem positively unfair for the other players. 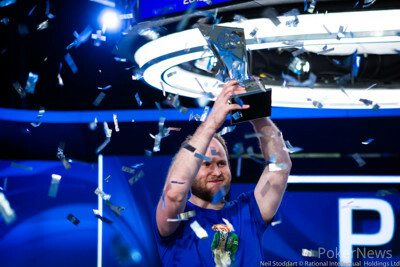 That's exactly what happened in the PokerStars Caribbean Adventure $100,000 Super High Roller, as Greenwood absolutely demolished the competition on the final day, eliminating three of his final four opponents to raise the trophy in less than four hours. "Everything worked out today," he admitted to Joe Stapleton after the win. "I just had the best hand a lot of times. I think most players, if they had my cards today, would have won." The champ described Day 3 as "easy" and "smooth" but a Greenwood roll show hardly seemed like the most likely outcome when the final day began since he sat fourth of five chips, albeit plenty deep with almost 70 big blinds. However, the Canadian won the first three pots of the day to triple his stack and take a commanding lead with half of the chips. The most critical of those saw Chris Hunichen cold four-bet over a Greenwood open and a Henrik Hecklen three-bet. Greenwood shoved for almost 90 big blinds with his aces and Hunichen couldn't get away from ace-king. Greenwood then eliminated Talal Shakerchi with another monster pair, this time queens when Shakerchi tried ripping over an open with jack-nine. Shakerchi followed up his eight-place finish in the PokerStars Players No-Limit Hold'em Championship with his fifth here and has now collected just a hair under $1 million in prize money here at the PCA. Shakerchi is having quite the PCA so far. Hunichen, who started the day as leader, managed a couple of doubles but would still fall in fourth after Greenwood outkicked him for most of his chips and then Hecklen finished him off. Greenwood's amazing run of cards continued when he busted Jesus Cortes. 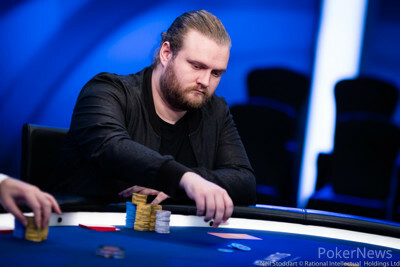 This time, it was a savage cooler as the least-known player at the final table, possibly seeking to reduce variance and ensure he laddered over a short-stacked Hecklen, flatted queens and flopped middle set only to have Greenwood flop a straight. The board failed to pair and Cortes called bets on the flop, turn and river, the latter for his stack. Finishing off Hecklen was a mere formality as Greenwood had a 10-1 chip lead. It's the Canadian's sixth seven-figure cash and his second win in a PokerStars $100K event after shipping in Monte Carlo last year. He now has over $14 million in live tournament cashes. Still, Greenwood joked that he's unsatisfied. "I still need to get a little more," he said when Stapleton asked if he was ready to call it a career. "I came second in Barca, second in Prague, so I need to go for the clean sweep." Indeed, he "only" has runner-ups in those $50Ks, from 2016 and 2015, respectively. However, those will have to wait, as Greenwood has more pressing business: the $50K Single-Day High Roller here at PCA, which he hopped in almost immediately. No time to savor victory when there's more money to be made, it seems. 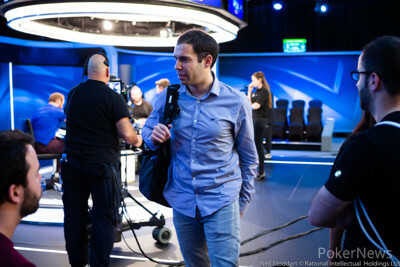 Sam Greenwood takes down the PokerStars Caribbean Adventure Super High Roller for $1,775,460. He talks with Jeff Platt after winning the trophy. Sam Greenwood limped from the small blind with . Henrik Hecklen, with , responded by moving all in for 1,380,000. Greenwood snap-called. The board ran and that was it for Hecklen, eliminated from the tournament in second place for $1,284,260. Sam Greenwood raised on the button to 160,000 with and Jesus Cortes flatted big blind with . The flop came and Cortes checked. Greenwood bet 200,000 and and Cortes called. The turn was a and Greenwood bet 550,000 when checked to. Cortes just called once more, bringing a river. Cortes checked again and Greenwood shoved all in. It was 1,980,000 effective. Cortes called and Greenwood collected all of the chips once again. Jesus Cortes raised on the button with and Henrik Hecklen jammed with in the big blind for 1,510,000. Cortes needed a time extension but wound up calling, and the players chopped after a flop gave neither player a freeroll. 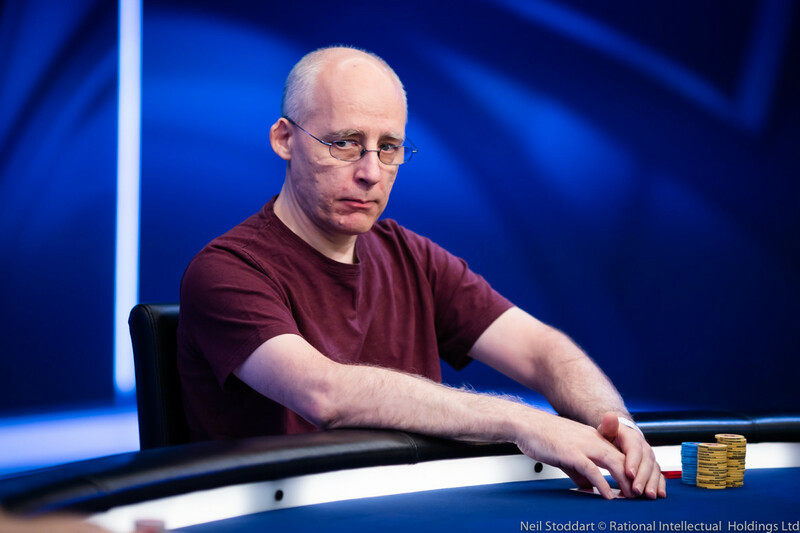 PokerStars Ambassador Igor Kurganov takes some time to chat with Jeff Platt about the PokerStars Players Championship, and the current high roller tournament scene. Greenwood raised to 140,000 on the button with . Henrik Hecklen, in the small blind, called with , along with Jesus Cortes, in the big blind who was had . The flop was and was checked through to the turn and to the river. Hecklen bet 400,000. Cortes was the only caller.